For decades, policymakers have debated whether unemployment insurance provides a critical safety net during tough times or whether it extends joblessness by reducing the incentive to find a new job. Northwestern University Kellogg School of Management Associate Professor of Finance Scott R. Baker and BU Questrom’s Andrey Fradkin used data from Google Trends to shed some light on this question by providing real-time access to millions of searches that can be aggregated across geographies. “We realized we could look at people’s job-search habits in a way that traditional government datasets had a hard time doing,” Baker says. You can learn more about the duo unemployment insurance research here. Six Booth School of Business graduates hope to apply their business backgrounds and bold ideas to a variety of roles within the education sector, including nonprofit management, education consulting, investing, and education technology. 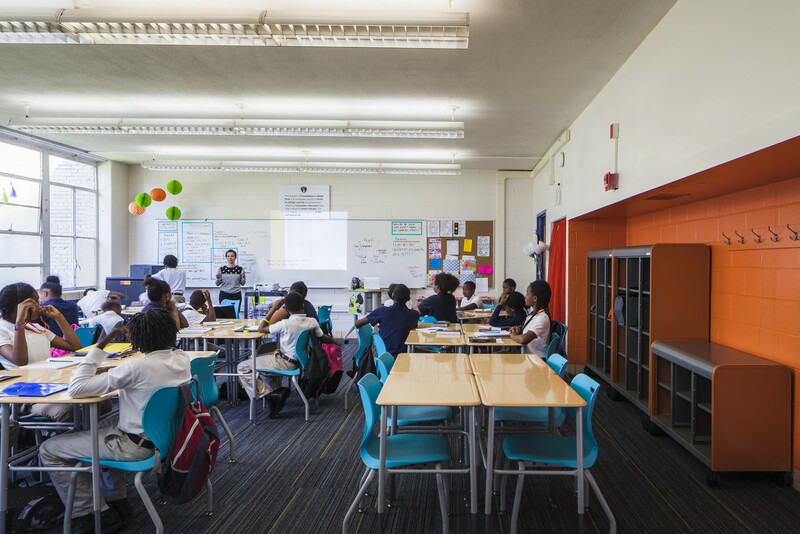 Booth MBA alum Micki O’Neil, founder of Foundations College Prep, a public charter school in Chicago’s Roseland community on the city’s south side, explains how Booth provided her with the necessary skills to handle the rigors of running a charter school. “Starting a school is a pretty all-encompassing thing. It takes leadership and entrepreneurial skills, as well as operations, marketing, and financial know-how,” she says. “Starting a school is a pretty all-encompassing thing. It takes leadership and entrepreneurial skills, as well as operations, marketing, and financial know-how,” O’Neil says. You can read more about O’Neil’s journey here. 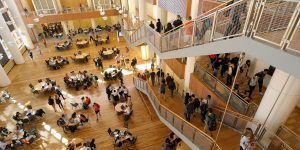 The University of Illinois Gies College of Business recently partnered with the College of ACES to develop a unique collaboration in which students take a deep dive into the business strategies of food science. “This course collaboration was a perfect opportunity to infuse entrepreneurship education with an emphasis on social purpose into an effective food product development capstone,” says Valeri Werpetinski, Associate Director for Entrepreneurial Education with the Origin Ventures Academy for Entrepreneurial Leadership at Gies College of Business. Charlie Stahursky, a senior food science major, was paired with Patryk Swietek, a senior information systems major and mentor from Gies. You can read more about the new course collaboration at Gies here.